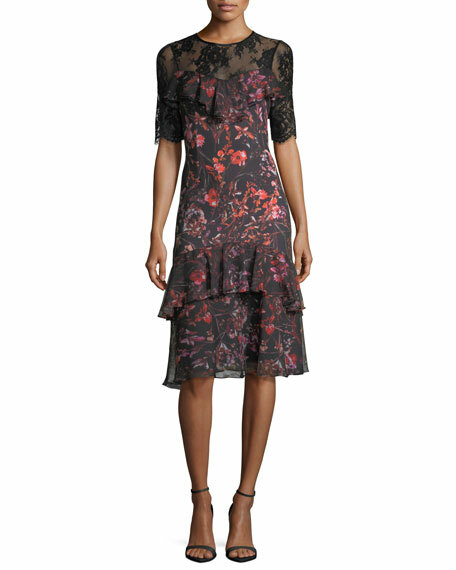 Rickie Freeman for Teri Jon cocktail dress with floral-print and a lace yoke. Approx. 45"L from high-point shoulder to hem. 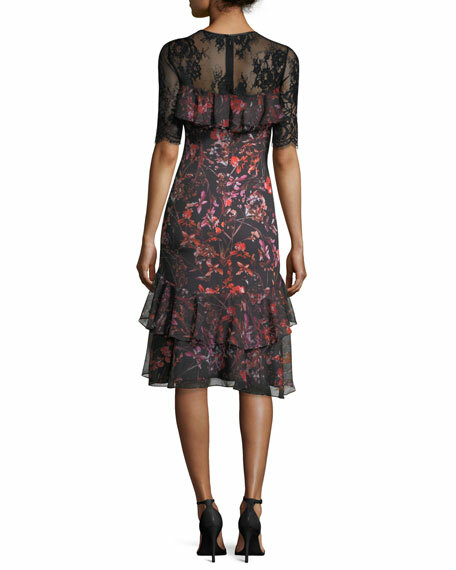 Ruffled detailing at bodice and tiered skirt. Jewel neckline with sweetheart illusion. For in-store inquiries, use sku #2265487.